I love drawing these knots. While working on this one, apparently I said out loud "Needs more entanglements" then wound up in a conversation with my husband about how I drew knots. 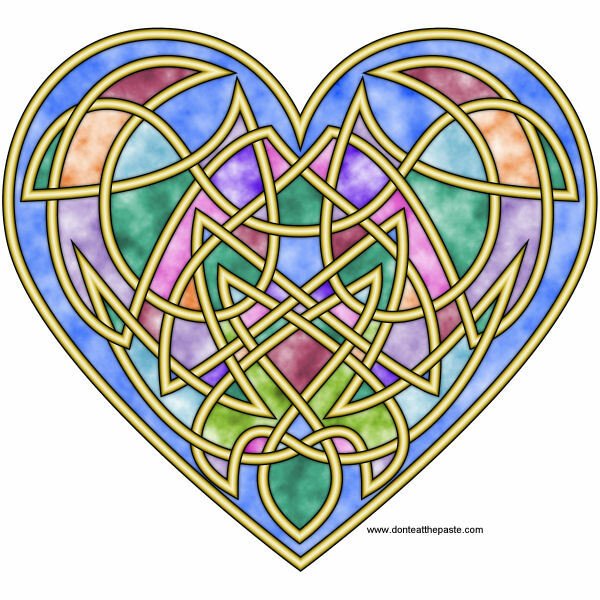 His eyes got a little glazed, but this design maybe one he or William use in leather tooling at some point. You can use it now! Print it, color it, or use it for crafty things. 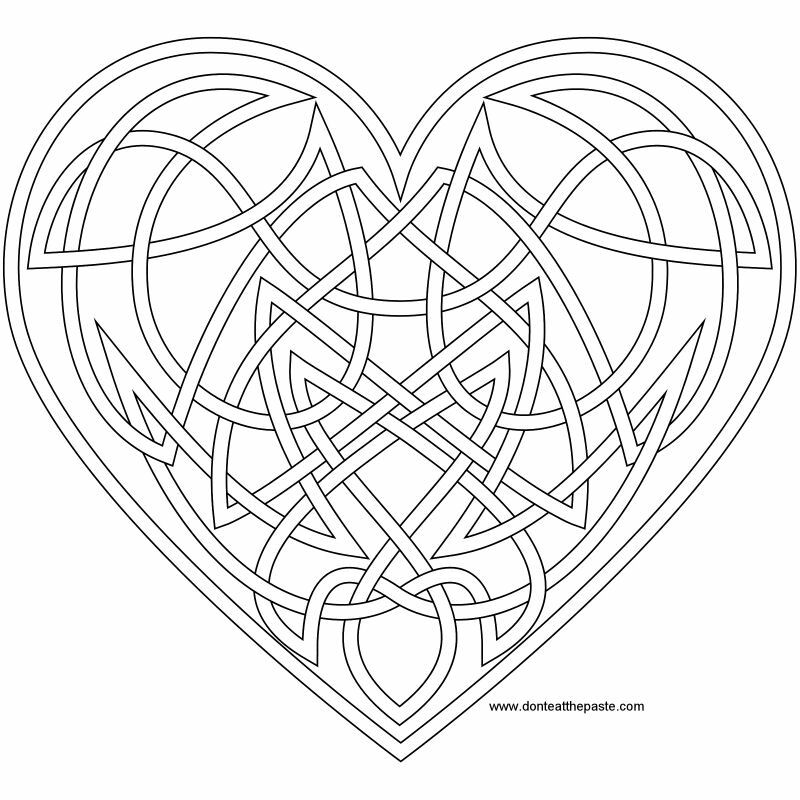 This knotwork heart coloring page is a good one for Valentine's Day cards and projects. Click the images for a larger version, print and color!